Beauty and her babies meeting their new families on Easter Sunday. 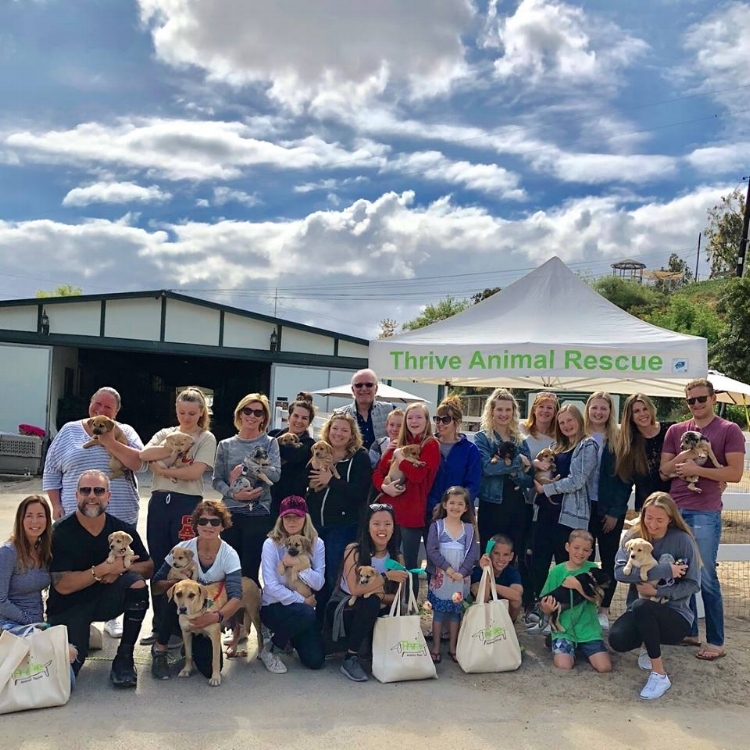 The only thing better than the happily ever-after photos we receive from our adoptive families, is getting to see the dogs we've rescued in real life! For that reason, we are having a Family Reunion on September 23rd from 12:00-3:00. We will have a taco truck on site offering both vegetarian and non veggie options. So save the date, share this post and bring your dog for a fun filled afternoon with the Thrive Family of Rescue Dogs.